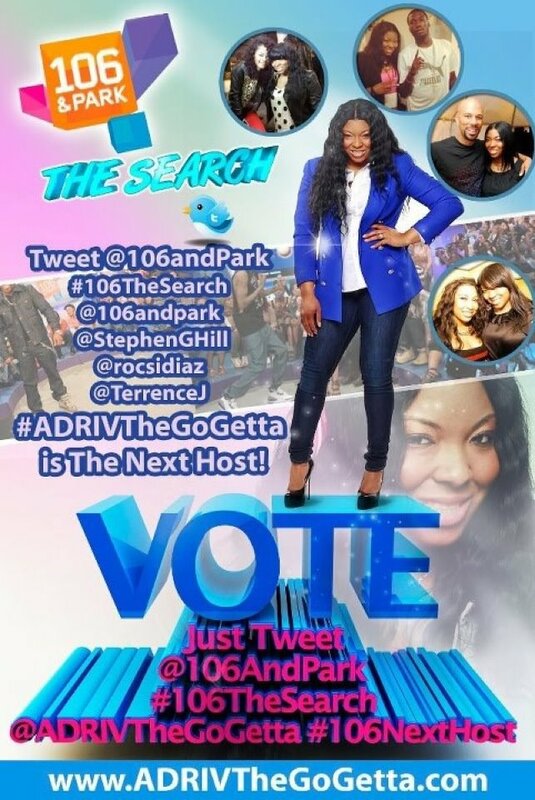 VOTE @AdriVTheGoGetta for @106andpark #106thesearch #106nexthost #Buffalo!!! – Be Fearless. Be Flagrant. VOTE @AdriVTheGoGetta for @106andpark #106thesearch #106nexthost #Buffalo!!! My girl Adri back home needs a little help in touching the sky and making her dreams an even closer reality. A few summers ago she interned at BET, this year she’s trying to nab the new position as 106 & Park Television personality Host. Meanwhile this Go Getta runs her own business, and hosts a local radio show on urban radio station 93.7 WBLK in Buffalo, NY. She’s already radio ready, get her to the big screen! Please do a favor, tweet the hashtag and cast your vote for my girl Adri V!! !